Senior Swans happens every Monday at East London Dance. Taught by professional ballerina Shardae-Rose Angel (Royal Ballet/Central School of Ballet Hons) Described as a friendly, social class for anyone over the age of 50, regardless of your level of dance experience. Known by only one name, Namron is one of the most celebrated dancers in British contemporary dance, having worked with pioneering choreographers such as Robert Cohan, Alvin Ailey, Siobhan Davies and Richard Alston. Listen to him talk about his illustrious career spanning 50 years at The Place. Two dancers struggle to find their place in the world. A little robot that listens to the name ‘Macheba’ scans their memories and projects their feelings on stage. Dance and robotics unite in Solo for Two, the new dance work by Jean Abreu at the Southbank Centre. See the next generation of dancers in the making at the Student Choreographic Showcase at Rambert, this event provides an opportunity to see original work by young choreographers and dancers who will go on to redefine their industry. Rambert’s new piece, Life is a Dream has its premiere at Sadler’s Wells this week. Created by the award-winning Danish choreographer, Kim Brandstrup, this new work is a retelling of the 17th-century play by Pedro Calderón de la Barca which has surprising relevance today. 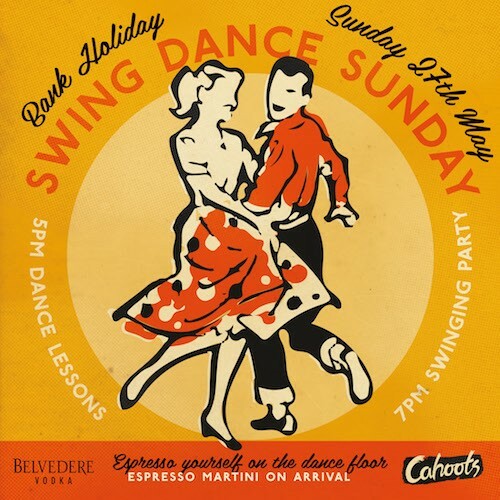 If you fancy dancing the long weekend away, then Cahoots are hosting their Bank Holiday Swing Dance Sunday Special! Learn some 1940s Swing dancing, alongside a live band, a disc jockey, and an after party complete with martinis!